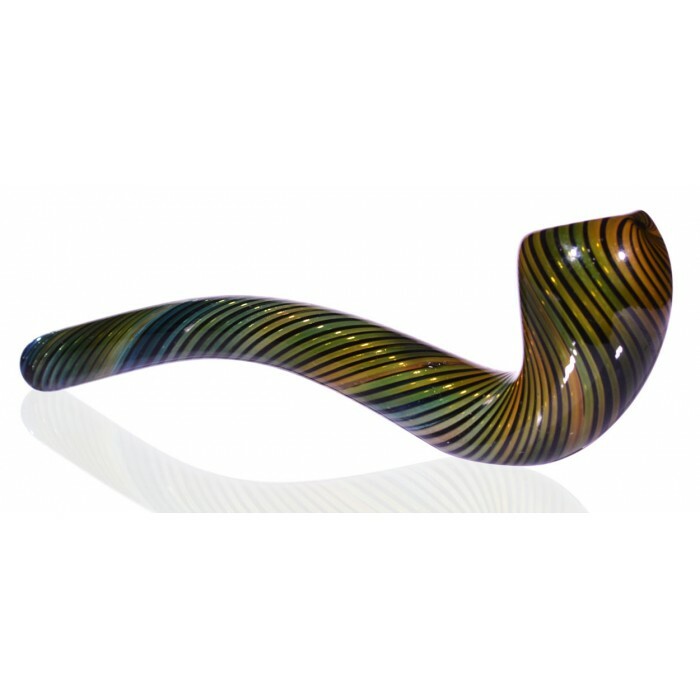  6" Candy Striped Sherlock Glass Hand Pipe - Bronze -The Greatest Online Smoke Shop! 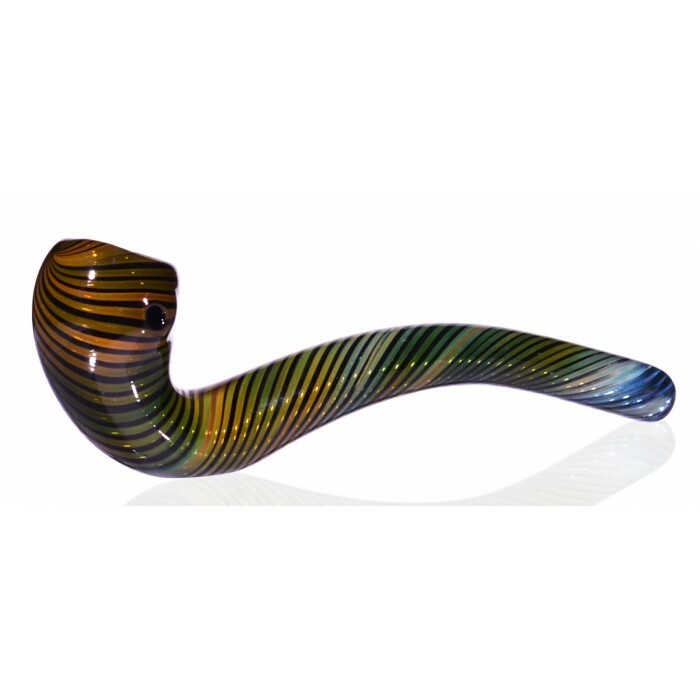 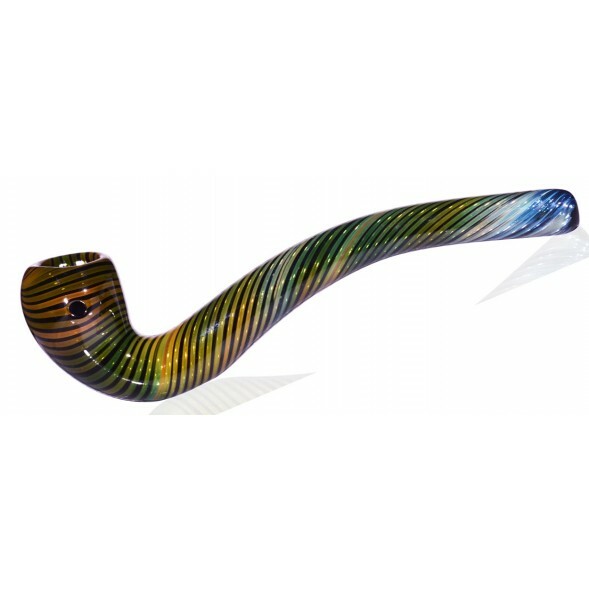 Beautiful black, bronze, blue and green colors surround this pipe for a very artistic and elegant look. 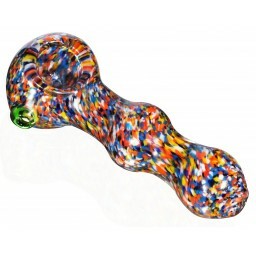 Colors may vary slightly from photos, making yours a one of a kind item! 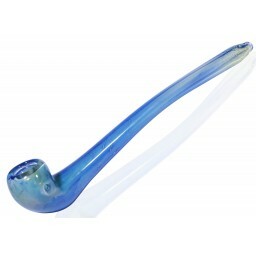 However, it will look the same overall.